Pam is grate, she was there when we needed her, the three years we where there, she was nice, she help us find a place for are trailer, and ask about me when I got in my car accident,I would come back. Charlene! Thank You... Sounds like a great manager! I hope you enjoy your time with us!! Was pretty satisfied with the unit just needed to vacate to say money. was intend for short time. That is the great thing about storage... it is always there when you need it. Thanks for choosing us Terri, we appreciate it your business, support and review! Hope to see you again!! Very convenient and good storage! Very easy to rent a unit, which was very clean. Felt like belongings were secure. Thanks for the Awesome Review, Mary! We’re happy to hear we hit the mark for you. Hope you enjoy your stay!! I highly recommend this storage unit business. Every time I called Pam was so helpful in answering all questions I had. She was continually pleasant and cooperative. No problems whatsoever. Wow, Sounds like an Amazing Manager! We greatly appreciate your business and your support. Thanks for storing with us Billie!! If we can turn your 4 star to a 5 star review please let us know. 520-274-7029. Pam is AWESOME. Very accommodating! Pam helped us coordinate our move from Arizona to Canon City. We appreciated the peace of mind , knowing that our houshold goods were safe and secure. This is a great business. Great storage, very convenient and reasonable prices. The manager was very helpful in helping us get the unit we needed. 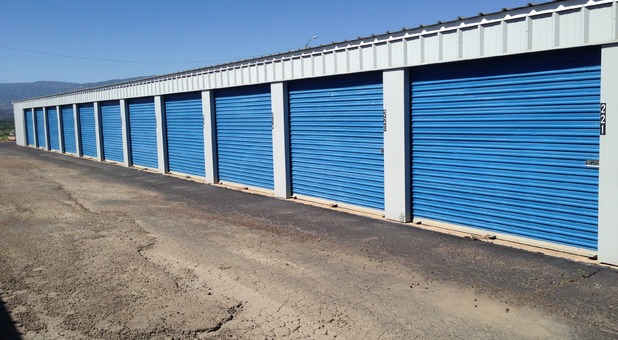 These are the best storage units in all of Fremont County! The units are clean and spacious. Made in such a way that you don't have to worry about mice and bugs getting into your unit from other units. I would like to send a special shout-out to Pam, the manager of Mary's Magazine at 1945 High Street. She has been courteous, professional, and has gone over and above to make us feel special! She has checked on us several times to make sure that we had everything that we needed. She is definitely the asset of Mary's Magazine! Thank you for a wonderful experience! We always appreciate when our tenants take the time to leave kind words. We know it is easy to stand out when you have great managers like Pam! Thanks Mickey & Deborah for the amazing review! Great place . Good to know you have a place to go to in need of space as I do from time to time. Like the security and people. Thumbs up . All around. Hi Jeffrey! We always appreciate when customers take the time to leave kind words. Thanks for your Review!! Easy to deal with, never had any issues. Ben, Thanks for you Review!! Great customer service, I arrived after business hours, they stayed open for me! They went above and beyond to meet my needs, great overall experience! Would highly recommend! Marys Magazine is a fantastic storage unit with great friendly employees! Great rates and an overall great experience!!! I have been a tenant for over a year now and if I had to use them again I would. Clean, affordable and safe!!! I would highly recommend these units!!!! They're secure, clean, well sealed, and decent price. We rented from them for three years and the only issue we had was some water leakage under the door of one of the units we rented. And it's my fault for not reporting it sooner or it would have been fixed. Overall they're good people, I'd definitely rent from them again. Very convenient and reasonable prices. Nice folks to work with when you are stressed over a move. They get and "A" ! Many thanks to them. The unit I rented was well maintained and secure. I will recommend your facility to anyone looking for storage. Storage clean and easy to access. Management always available and friendly. (With an adorable doggie) I would definitely use this business in the future. I rented a space in order to store some of my furniture while I sold my home. The site is easily accessible and the hours were great. No problems with anything - and sold the house within two weeks. Excellent service and Pam is extremely friendly and helpful. Neat, clean storage facility that is very secure. Allowing tenants to use your flatbed trailer and dolly at no charge is a very nice perk and was very much appreciated. Your on-line payment option is very convenient and time saving. Pam is the reason Mary's isour #1 choice. Our past storage unit experience was NOT as positive. Pam was always quick to respond and resolve any concern. Even when she was very ill and had surgery, she made sure our needs were met. Despite the fact she manages 2 large storage facilities, she is always available. I stored my items with Mary's Magazine Self Storage in Canon City, Colorado for 4 months. My unit was very clean, easily accessible and safe. I so appreciate Pam and the other staff; they are all professional, knowledgeable and always helpful. Great job and thank you all! The price is right and the units were perfect for our needs. Pam in the office was always very friendly and helpful. If we ever need storage again we will be back. Thanks! Super safe and secure facility! I was looking for a secure and professionally ran facility and found it at Marys Magazine! I have rented a parking space for a few months now for my trailer and I dont worry at all! We utilized their services for three years between two relocations. Pam is courteous and very helpful. The price for this kind of storage is competitive. The facility is secure and we never worried about our belongings while they were stored there. Am from MN and moved to CO. Needed a storage unit and most were full including Mary's. Thank you Pam for taking my number and calling me a week later when one was available. Also, later on I wanted a larger unit and she called me when one was available. Great to deal with and the prices are fair. Thank you all. Marys Magazine is the best without a doubt! Pam the manager is warm, friendly and very helpful! Great hours very secure! Online payments.. Very clean! Love it! Best place to store in the county! The manager was so helpful. Storage and security is excellent... Yet, great access to my storage unit. Clean property ran very well. I wouldn't go anywhere else! The opportunity to use the facilities trailer saved so much money! Clean. Secure. Plenty of space to maneuver. Best hours in town. Of all the places I called, manager Pam was the most personable and helpful. I didn't want to have to store, so thank you for making it such a pleasant experience. The online payment option is great, & very user-friendly! Best Storage Facility! 5 Star Rating for sure! The storage facility site is clean and well maintained. The locks they issue feel very secure. I appreciate that it is gated for security, yet my access is still convenient. Pam the manager is very accommodating and friendly. She is wonderful! I would recommend Mary's Magazine to everyone! I love that they have amazing customer service at any hour you call. Sometimes an emergency can be trying but as the customer service was GREAT. It made my emergency less stressful. If that wasn't enough they were courteous just as much throughout the whole process. Let me tell you I can usually find many things to complain about. Here it is 5 STAR all the way. Thanks. Mary's storage facilty & management are excellent and amazing. We had a wonderful experience using Mary's Storage facility. It is excellently maintained and Pam Hastings was absolutely amazing to work with. 5 stars for this facility due to excellence in all key areas! This was my very best storage rental experince!